There has been a lot of talk about what Brexit will mean. What will it mean for Britain? What will it mean for the EU? What will it mean for IT? Brexit is slated to have both short-term and long-term effects on the relationships between companies and their managed service providers. The operations of managed IT services are somewhat borderless, as it is. But there will be impacts. Here’s what to expect. The UK is a strong market for managed service providers, particularly those in developing nations. Why does this matter? Because the currency values will readjust as Britain settles into its own, the UK adjusts to its absence, and the rest of the world currencies adjust to accommodate those changes. This will affect managed service providers’ contracts with British companies. Ripple effects could be felt elsewhere in the industry as the entire world economy adjusts to Britain being ‘single again’. In the meantime, managed service providers that work with British companies will likely be adjusting their prices with all of their customers as contracts come up for renewal. Expect price negotiations to be part of the process. Since deflation is a real possibility, there could be additional adjustments in the workforce, as well. The tech talent shortage, already felt around the world, should become more pronounced. While immigration might help alleviate some of the tech worker shortage woes, don’t count on large numbers of tech professionals to bail on their current positions and rush to the aid of Britain. As the market for managed service providers in Britain destabilizes, many firms that previously depended on contracts with British firms may look elsewhere for new clients, such as the U.S. The overall trends could also spur tech-minded immigrants who were considering Britain to decide to go to the U.S. instead. While this might help the States with their tech talent shortage, it will only make the situation in Britain worse. The cost for managed service providers to do business in Britain is also expected to rise. Many of these vendors have used Britain as their base operations within Europe, especially the small- to mid-size vendors, but a lot of those will now move their European operations to mainland Europe instead. However, there is a silver lining to the Brexit cloud. Other areas of Europe will experience a boost from the migration away from Britain. It could spark needed investments in IT skills developments, improving the tech talent situation across Europe. Expect to see mini Silicone Valleys spring up, providing clusters of IT workers offering high-quality managed services around the EU. 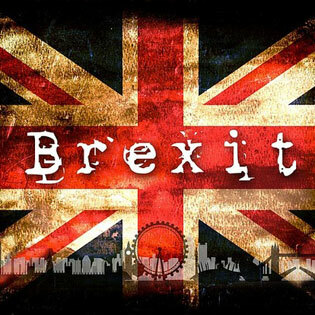 While most of the effects of Brexit will be felt primarily in Europe and the countries that typically provide British businesses with IT support (such as India), there will be trickle-down effects here, as well. As mentioned, some of the immigrants with strong technical skills might choose to relocate to the U.S. rather than Britain. This could help alleviate part of the tech shortage here. The other effect to expect is the shift in prices charged by managed service providers. If companies begin negotiating higher prices with their European and British customers, they may expect to get higher pay from their American customers, as well. How can you avoid the higher prices? Choose a managed service provider that operates exclusively on American soil. Learn everything you need to know about small business networking today when you download the whitepaper: Small Business Networking.